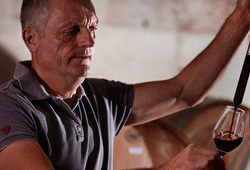 Michel Chapoutier is one of the most talented vignerons of our generation. As well as his sought-after single vineyards, which tend to sell out en primeur, he produces the best value wines on the planet. 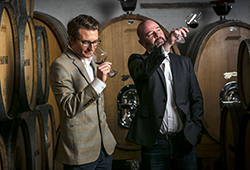 Recently named ‘Man of the Year’ by Thierry Desseauve and Michel Bettane, Chapoutier strives to create wines that fully express their terroir and has become France’s largest producer of biodynamic and organic wines. It’s easy to see why Les Vignes de Bila Haut (Côtes du Roussillon Villages) is our most popular import. A supple, deliciously fruity blend of Syrah, Grenache and Carignan, it’s a perennial overachiever and has been on Wine Spectator’s Top 100 list for three years running. From the Côtes du Rhône, Chapoutier’s Belleruche has more spicy depth and complexity, showing juicy red fruits, liquorice and pepper. The south-west was a bright spot in France’s 2012 vintage and we think this may be one of the best vintages of the Rouge yet. The White is a blend of Grenache Blanc, Grenache Gris and Macabeu grown on limestone soils in the Agly Valley as well as on granitic soils. It is perfumed and peachy in an easy-drinking style. The Red is young-vine Syrah, Grenache and Carignan from the Agly Valley. This wine is fleshy, generous and well-structured with the savage soils of the Roussillon area. Having received #38 in Wine Spectator’s top 100 in 2012 and 90 points from Robert Parker for the 2011 vintage, the Bila Haut Rouge remains one of the finest value wines in the world. For the White, Grenache Blanc, Clairette and Bourboulenc are blended without malolactic fermentation to make a fruity yet mineral offering with a Chablis-like edge. The 2012 Rouge is surprisingly rich and structured and one of the finest vintages we have tasted. Mostly old-vine Grenache adds a juicy depth with a touch of Syrah for a peppery edge. A wine that can easily age for up to five years. We are offering a 10% discount on 12 bottles or more for this offer only (mixed cases possible). To order, please reply to this email or phone 021 448 4105. View our full list of Chapoutier wines on www.winecellar.co.za. 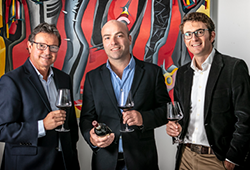 Be sure to take a look at the new imports that have arrived from Drappier and Château Musar – Lebanon’s celebrated wine producer. If you didn’t receive this offer via email, join our mailing list today.